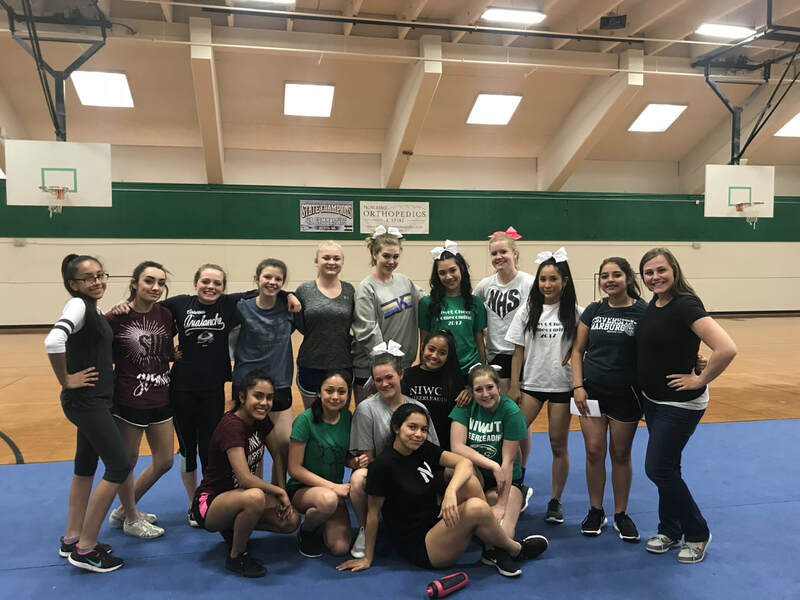 Mark your calender: Information on cheer tryouts for the 2019/2020 school year! Congratulations to the 2018-2019 Squad! 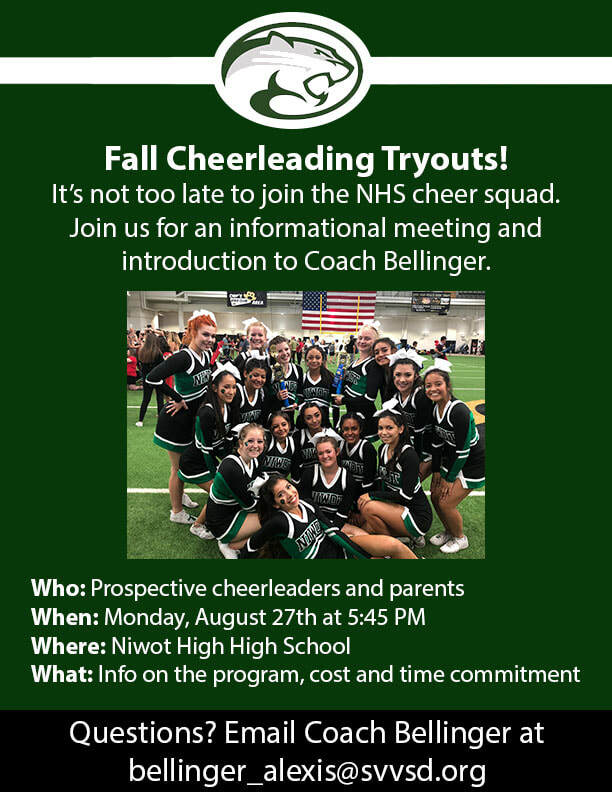 If you are new to Niwot High School and/or missed tryouts and are interested in joining the squad, please email Coach Bellinger to arrange a tryout. 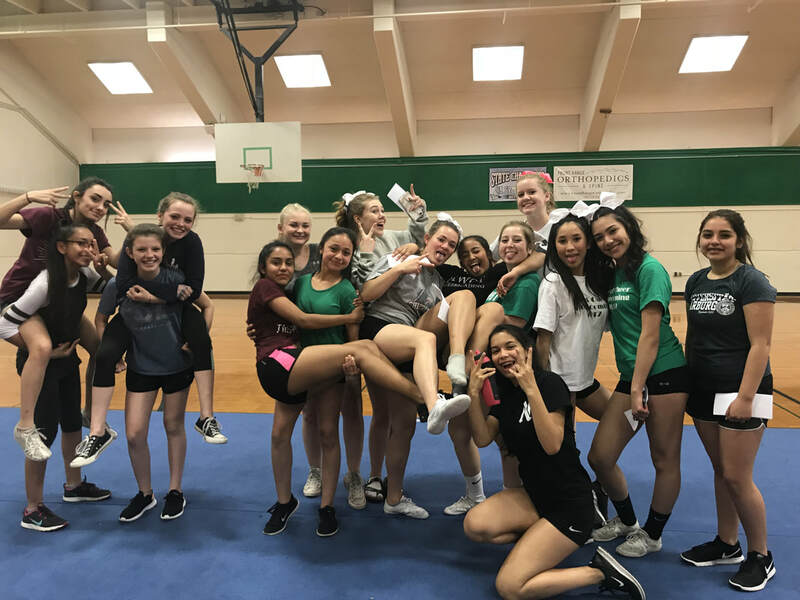 Are you interested in being a NIWOT CHEERLEADER? Will you be attending Niwot High School for the 2018-2019 school year? We would love to have you join our cheer family! Please arrive on time to each meeting. You should wear athletic shorts and long hair must be in a ponytail. Before the first clinic date, email a copy of your medical history form to Coach Bellinger at bellinger_alexis@svvsd.org (form is below).